Kensington Palace also revealed other details from the royal wedding, including that the American star won’t have a maid of honour. Meghan Markle’s father will walk her down the aisle at St George’s Chapel in Windsor Castle to marry Prince Harry on May 19, Kensington Palace announced on Friday. Thomas Markle, 73, will be by the side of his daughter, who will drive up to the wedding venue with her mother, Doria Ragland, 61. “Both of the bride’s parents will have important roles in the wedding. On the morning of the wedding, Ms Ragland will travel with Ms Markle by car to Windsor Castle,” the Kensington Palace statement said. “Mr Markle will walk his daughter down the aisle of St George’s Chapel. Ms Markle is delighted to have her parents by her side on this important and happy occasion,” the statement said. Thomas Markle, a former Hollywood lighting director, now lives in retirement in Mexico. There had been a lot of media speculation if he would be part of the wedding ceremony as American actress Markle was known to be closer to her mother, who divorced her father in 1988. Ragland, a yoga enthusiast, reportedly works at a non-profit mental health clinic and specialises in helping the geriatric community in the US. But Kensington Palace has confirmed that they both will be an important part of the wedding party. The bride-to-be’s parents will arrive a week before the wedding to meet senior royals, including Harry’s grandparents -- Queen Elizabeth II and the Duke of Edinburgh. They will also meet her fiance’s father, Prince Charles, as well as Camilla, Duchess of Cornwall, and the Duke and Duchess of Cambridge, Prince William and Kate Middleton. The announcement comes soon after Thomas Markle Junior, Meghan’s half-brother on her paternal side, wrote an open letter claiming his father was not invited to the wedding. In the harshly-worded letter, he also warned Prince Harry that his half-sister was a “jaded, shallow, conceited woman” and marrying her was “the biggest mistake in royal wedding history”. In other details released by the Kensington Palace, 36-year-old Markle will not have a maid of honour and all her bridesmaids as well as pageboys at the ceremony will be children. During the ceremony, Lady Jane Fellowes, the older sister of Harry’s late mother Princess Diana, will give a reading as a representative of his mother’s Spencer side of the family. The location of the couple’s honeymoon has not yet been revealed. However, the first royal engagement of the newly-weds will be the week after the wedding. Kensington Palace also released details of what members of the public can expect on the big day. Around 1,200 people have been invited into the grounds of Windsor Castle to participate in a large picnic as part of the wedding ceremony. 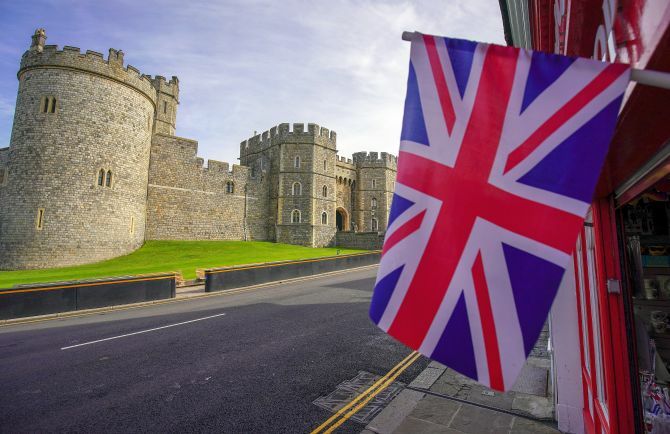 The Windsor town centre will be decorated with bunting and ceremonial banners along parts of the route and there will be live entertainment, the palace said. 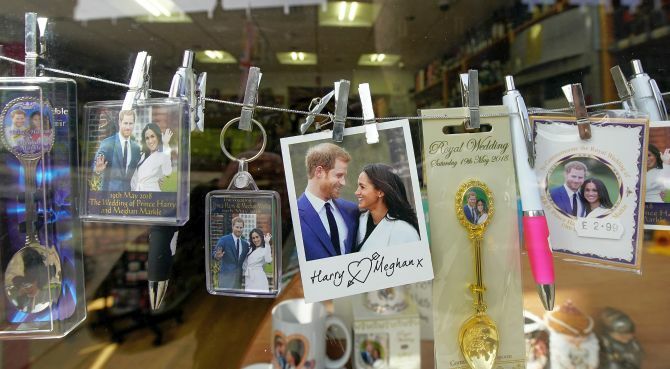 The couple will travel through the town in a carriage before arriving at St George’s Chapel for the ceremony, to which 600 guests have been invited. “After the service has concluded, the newly-married couple will proceed out of the church and acknowledge the 200 representatives of Prince Harry’s charities gathered in the Cloister. “The couple are delighted that these people, who will be such an important part of their official work in the years to come, will be the first people they see after their wedding,” the palace statement said. 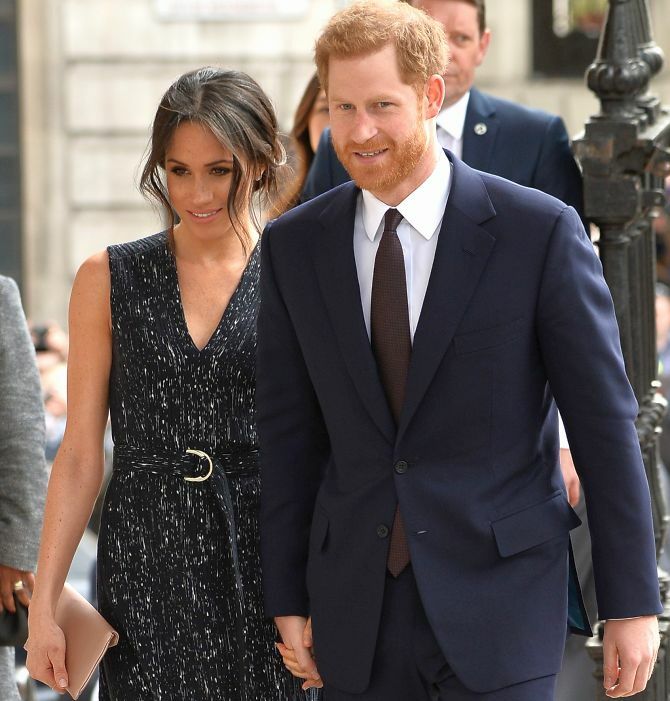 The final aspect of the wedding open to the public and live television coverage will be the new bride and groom departing WindsorCastle for the evening reception at nearby Frogmore House, located within the grounds of the HomePark in the town of Windsor.